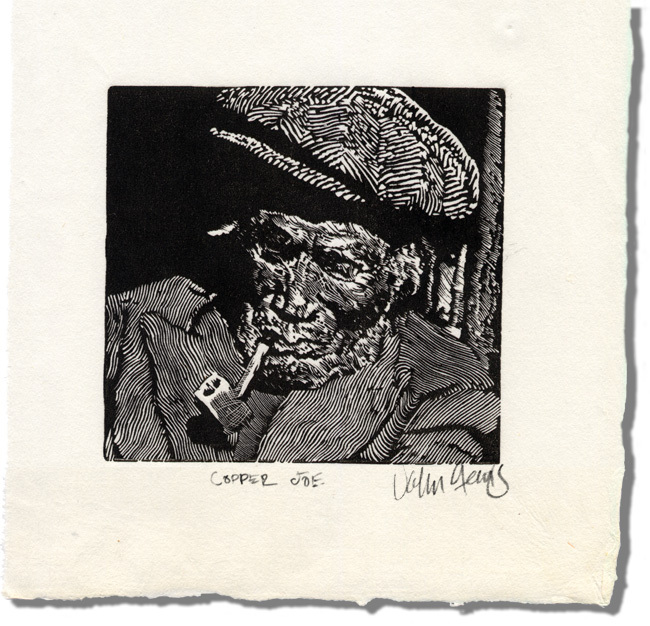 A companion engraving to Eliza, Copper Joe was a First Nations old-timer who spent his life in Fort Selkirk near the Pelly and Yukon rivers. He managed copper deposits found there for trade with other indigenous peoples early in the last century. Paper and deckle are for illustration purposes.